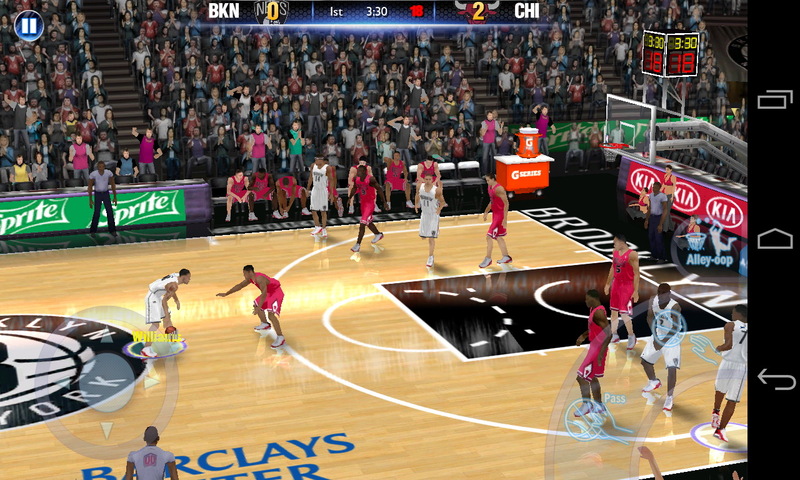 With the NBA playoffs just around the corner, there is no better time to play NBA 2K14 on your mobile. 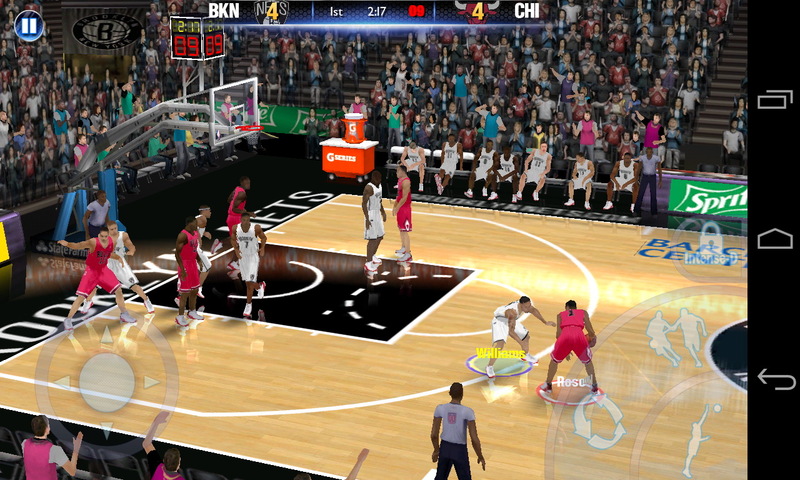 2K Games developed this Android game but it still has some issues which troubled its predecessors. 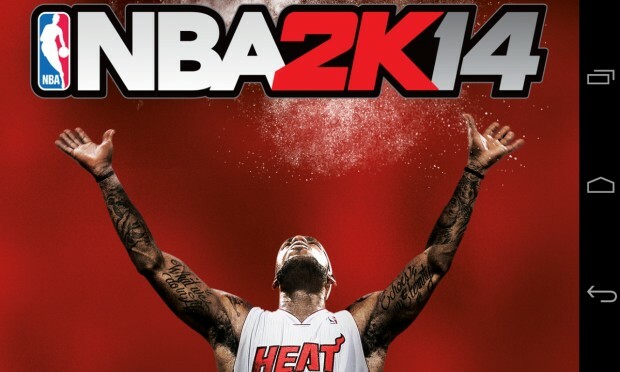 Even so, it is still an entertaining basketball title that fans of the sport should open up in their pastime. 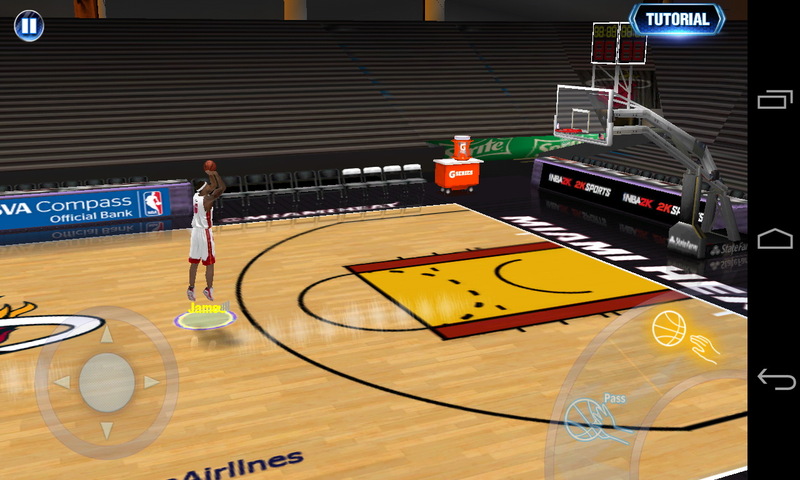 NBA 2K14 has a slew of features. 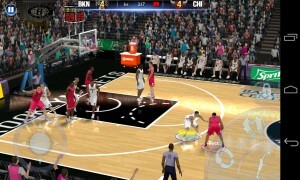 For starters, you can work on your basketball skills in Practice mode or take on your friends via Bluetooth multiplayer. 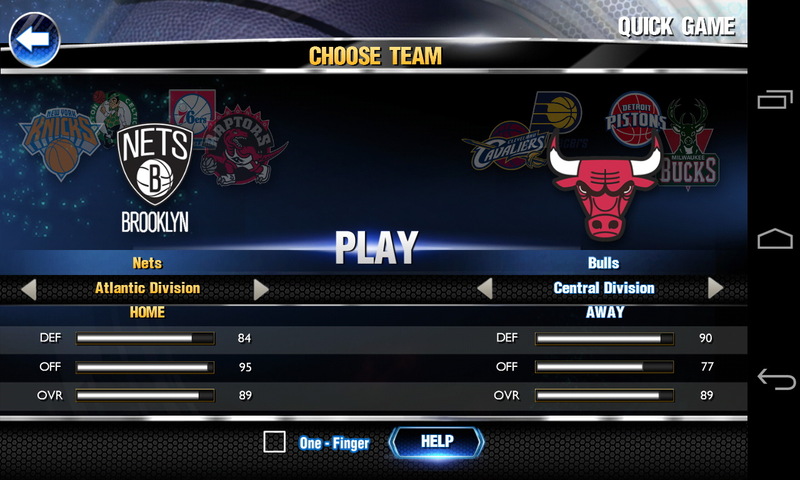 Also, you can play a quick match-up with all 30 NBA teams. Guide LeBron James in the Path to Greatness game mode whether you want to continue on with the Miami Heat or if you want to carve another path for the superstar, where your goal is to complete various objectives each game. 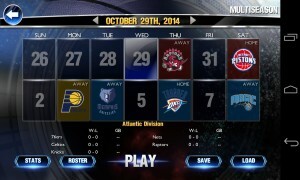 There’s also the Multi-Season mode in which you can play several seasons with your favorite team. 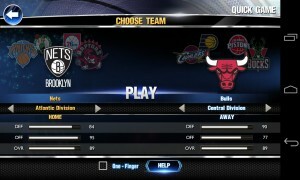 Last year, the virtual controls were responsive. This time, it’s still quick to respond. You have a couple of options as to which control settings you’re going to use. First is the traditional scheme where you control your guys with two of your thumbs. On the bottom left corner is the virtual joystick and on the opposite side is the action buttons (shoot, pass, alley-oop for the offensive set and change player, steal, block, and intense defense on the defensive side of the ball). The second setting is called the one-finger control. It seems a little harder to maneuver with the one-touch controls as you need to execute a swipe to perform a move or tap on a player to pass him the rock. It may boil down to your preference but if I may choose, I had a better time with the traditional control scheme. Graphics-wise, the player models are passable whenever the camera zooms in. From a distance, the quality varies. TV cut-scenes are an eyesore. Fans do not look good, the camera angle sometimes move into a random position with no reason whatsoever. Try to skip the screens by tapping on the screen or pass button. Though the graphics haven’t changed much from the previous installment, there is another issue that might frustrate you – presentation. The public address (PA) announcer might miss a call or two, and whenever you score he only screams out the surname of the player. I really think this could use an improvement. I’m not asking for a play-by-play and color commentary from analysts but a tolerable PA announcer would do justice. Also, Multiplayer might need some work as it takes a while before you can play and the performance is laggy at times. 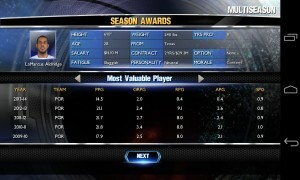 Lastly, a trade AI would have been a good addition in the Multi-Season game mode to police trades. NBA 2K14 is basically the same iteration as that of last year but it comes with updated rosters. 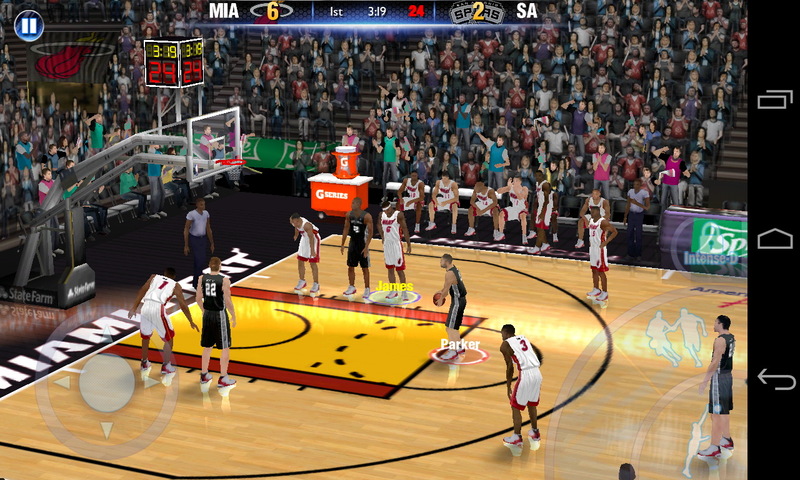 This Android game has a few hiccups, no commentary, a slow PA announcer, and bad camera angles. The controls are responsive but the one-finger gesture-based controls might need an enhancement. I like the replay value it presents as you can practice all you want, play against others in Multiplayer mode, and build a dynasty in Multi-Season game mode. The gameplay, however, may become more annoying than enjoyable. For $7.99, it’s a bit pricey for a basketball game. If you’re a fan of the NBA, you can still give it a try. It crashes for me as well. I have Galaxy S4 and every 3rd quarter it force closes. Also gameplay is glitchy from time to time. 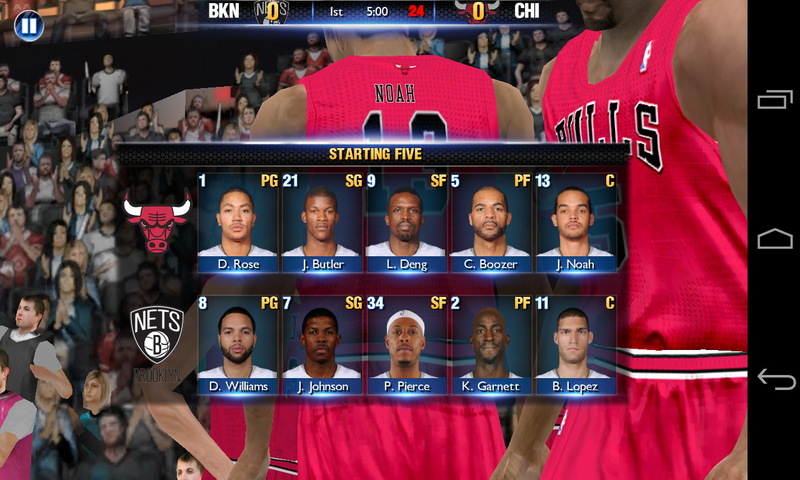 I love NBA games from 2K. So much better then EA's NBA Live. There are some major issues with game crashing every 15-20 minutes. I would rate it 5/5 if this bug is fixed.